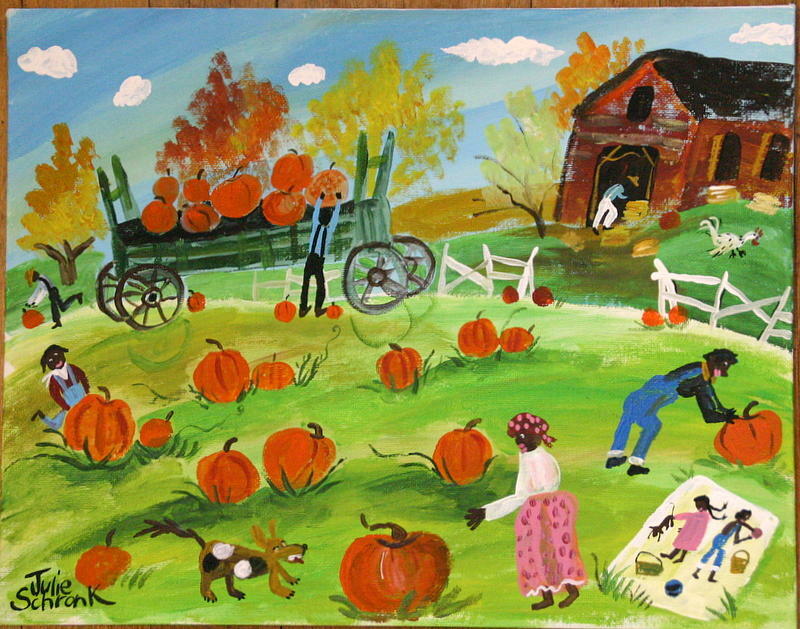 The Pumpkin Pickers is a painting by Julie Schronk which was uploaded on January 15th, 2010. This fall painting celebrates pumpkins as these pickers are busy picking. The kids, however, have tuckered out and are fast asleep on a quilt, but the brown dog seems plucky enough. A guy in the background at the barn is busy, too. This whimsical painting celebrates the season with lush colors and it will look great framed! There are no comments for The Pumpkin Pickers. Click here to post the first comment.